April C. Gripp (Bjork) Age 67, of NE Minneapolis, lost her battle with Stage 4 Pancreatic Cancer and passed away August 23, 2018 at Robbinsdale Villa. She was 67 years old. She was known as “GG” by her Great-Grandchildren. 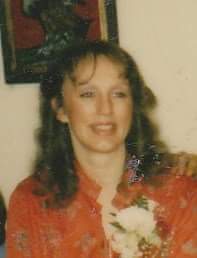 April was preceded in death by her parents, Earl and Vera Bjork, brother Kenneth Bjork and son Kenneth Nordlund. She is survived by her husband of 40 years Marvin Gripp, her sister Minyon Rian, brother Pat Bjork, daughters Colleen Ruikka, Tammy Fuhrer, son William Gripp, step-daughter Kim Swenson, step-sons Marty Gripp, Mark Gripp, 18 Grandchildren, 21 Great-Grandchildren, nephew George Ripley, niece Wendy Japp and many other loving family and friends.